Kicking off KALEIDOSCOPE, a year long programme of interlinking exhibitions and events celebrating the 50th anniversary of Modern Art Oxford, is the exhibition 'The Indivisible Present'. In this opening exhibition, what we see and the things we miss are explored by artists who examine time from an unconventional perspective. Featured artists include Douglas Gordon, Pierre Huyghe, John Latham, Yoko Ono, Elizabeth Price, Dog Kennel Hill Project and Viola Yeşiltaç. The works on display, encompassing film, photography, sculpture and installation, invite visitors to examine each moment they encounter and to consider how time affects perception. 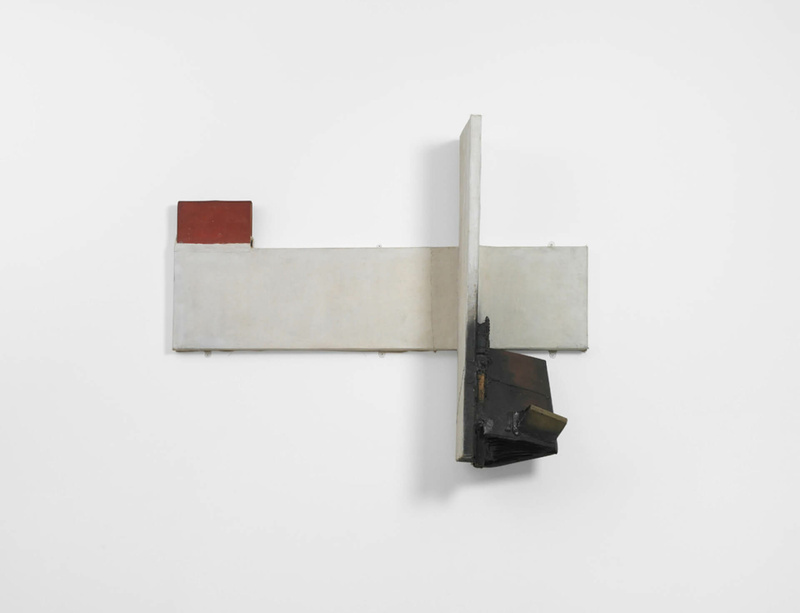 A highlight of the exhibition includes two sculptures made of books and other materials by John Latham, whose influence on contemporary art will be explored in an upcoming exhibition at Lisson Gallery in March 2016. For over 50 years, Latham consistently employed books in his paintings, sculptures and performances. By incorporating burned and charred books, Latham declared his interest in destruction as an equal and opposite process to creation, and in art as an event rather than an object. 'The Indivisible Present' runs from 6 February - 16 April 2016. More information on the exhibition and 50th anniversary of Modern Art Oxford is available here.